Teluk Intan is a city that located in Perak, Malaysia. 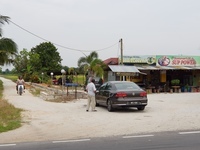 It is located in Hilir Perak district and is the third largest town of the state. 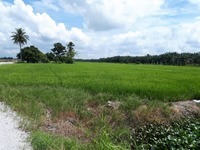 Besides, the main economic activities here are oil palm cultivation and palm oil production. Therefore, many plantations around here are owned by the big corporation such as Sime Darby and United Plantations (UP). As for hospitals, there are Dormitory Doctors Hospital Teluk Intan, Kuarters Hospital Teluk Intan and Teluk Intan Hospital. There are also some universities here, e.g. Teluk Intan Community College, UiTM Cawangan Teluk Intan and Universiti Teknologi MARA Teluk Intan.